Periodically, we invite other book lovers to guest post on the Book Jam. Today, we are thrilled to welcome Carin Pratt – an outstanding bookseller and former executive producer of “Face the Nation”. 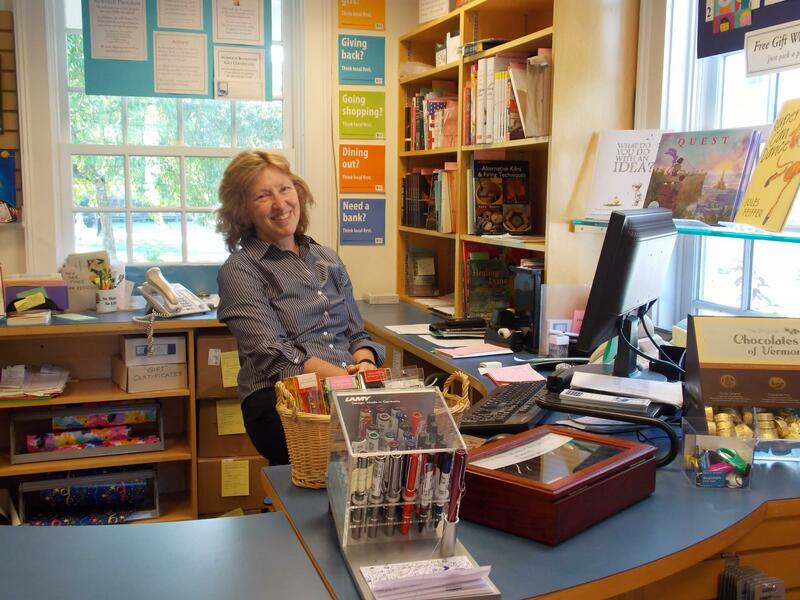 We are ever so grateful that “Face the Nation” lost her services so that the Norwich Bookstore could benefit from both her expertise and avid reading tendencies. The Book Jam Lisas are always happy to pick up a Carin Pratt recommendation, and today we are even more pleased that she is sharing her picks on the Book Jam. Enjoy! Every once in a while, you need to read to escape. Doesn’t matter particularly what you are escaping from — Trump, the excess Halloween candy that keeps winking at you, the pesky dog who keeps thrusting her nose into your lap wanting a walk, the dirty kitchen floor, that last cord of wood reproaching you in an unkempt pile outside the door. You get the drift. You just need to inhabit another world. One preferably totally unlike the one you live in. Here are three books to provide you with that escape. Somehow there’s nothing like a good South or North Pole exploration disaster story. Everland by Rebecca Hunt is just that, and you get two expeditions for the price of one — one set in 2013 and the other, in alternating chapters, set in 2012, both on the same island. Despite the time difference, the elements remain the same: howling winds, frozen extremities, ruined provisions, psychological dysfunction and epic hallucinations brought on by week-long blizzards that trap the fractious explorers in their tent. Add to that the question of when or if they will be rescued, well, it’s going to be a bumpy night, or month. Makes you want to go right out and sign up for that next ship going South, (or North), or at least shell out this year for a parka good to 40 below. Slade House, the newest book by David Mitchell (Bone Clocks) is about soul-sucking vampires, two, to be exact. Siblings. Now soul-sucking vampires might not be your cup of tea — they’re not mine — but give these two a try. Every ten years they have to lure some poor soul into their clutches to do what they do (which is described in a way you will find hard to forget), and gain enough energy for the next decade. They are very clever about this. Until….. but then you will have to read it to find out. Slade House is in many ways an old fashioned ghost story, with portals and time shifts, and all kinds of morphing. Quite gripping, but not as terrifying as some ghost stories, as there is actually some humor. And, the cover is very cool. The Ibis Trilogy is, yes, I know, three books instead of one (Sea of Poppies, River of Smoke, Flood of Fire). You don’t have to read them all, though you may want to. Amitav Ghosh took ten years to write his epic of historical fiction about the opium trade. Set in the years before the opium wars in the mid 1800’s, his cast of characters cover a wide range of cultures (British, Indian, Chinese, etc) and occupations (sailors, traders, peasants, boat people, etc), and everyone has a story he weaves into the whole. It’s a funny, dramatic and linguistically playful masterpiece. And a different world altogether. Makes for a great escape.